In the newest episode of Then & Now, Susan and Kitty are piloting this discussion to a galaxy far, far away to talk about the dashing rogue rebel, the smarmy smuggler himself, Han Solo. From making the Kessel run to destroying the Death Star, never tell him the odds- This is Han Solo Then & Now! Han Solo has always captured the hearts of Star Wars fans since he first appeared in the galactic saga. With the recent release of Solo: A Star Wars Story, the dashing smuggler has had a new moment in the spotlight as audiences witnessed the new origin of classic Han Solo moments any mysteries- his first meeting with Chewie, where he learned to shoot, and even how he got the Millennium Falcon into his possession. On the other side of the trilogy, Harrison Ford bade Han a Force-filled farewell in 2015’s The Force Awakens, which signaled the conclusion of the character’s arc across the galactic saga. Although he retained his signature skepticism and general attitude, there was no denying that Han Solo had grown and matured since his time fighting the Empire. He had witnessed firsthand the strengths of the Force through his Jedi friend Luke Skywalker, and also seen the dangers of its power through his son Ben Solo, or Kylo Ren. All of this leads to one final showdown, but not before Han Solo has made sure to pass the torch of what he knows to the newest generation of heroes, who revere him as a legendary pilot and smuggler. Still, there’s no denying that Han Solo shines his brightest throughout the original trilogy of films, delivering iconic lines and blaster fire with his signature smirk that still makes fans swoon after his charming swagger. 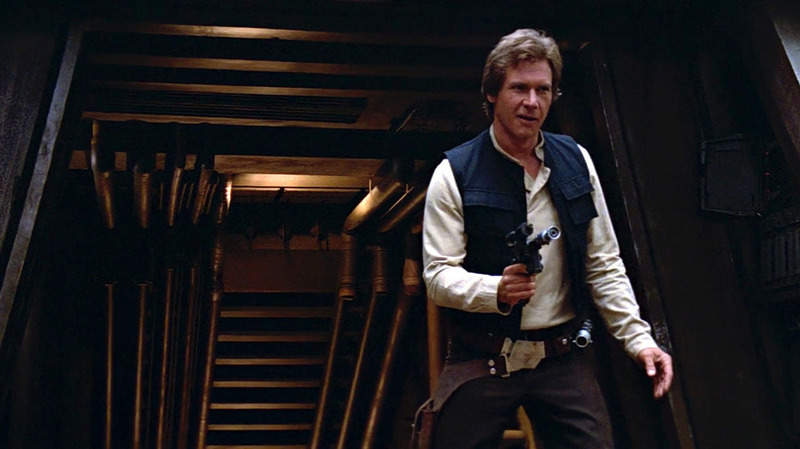 A reluctant hero at first, Han’s skill and loyalty are ultimately what carry through no matter which film he appears in. We’d tell him that we love him, but he already knows. Disney Princesses Get Modern Outfits in New Wreck-It Ralph 2 Still, Cyborg Cast for DC's Doom Patrol, and More!